Data bundles price overcharging is especially acute for poor consumers who typically use small, prepaid bundles. Singer Darren was called to sing 'Nkosi Sikelel'iAfrika' at a Varsity Cup rugby game and he didn’t know the lyrics to some parts of the Sotho part of the anthem. UCT graduate Ruby Chikwiri says the campaign is receiving an overwhelming amount of support. Radebe spoke about retiring after football and the financial and emotional turmoil it can bring. Khosi Madzonga, the wife of Vele Investments CEO Robert Madzonga, spoke to Talk Radio 702 about the VBS scandal. Canadian singer Tamia says that R&B doesn’t get the love that other genres get and it’s kind of diluted. 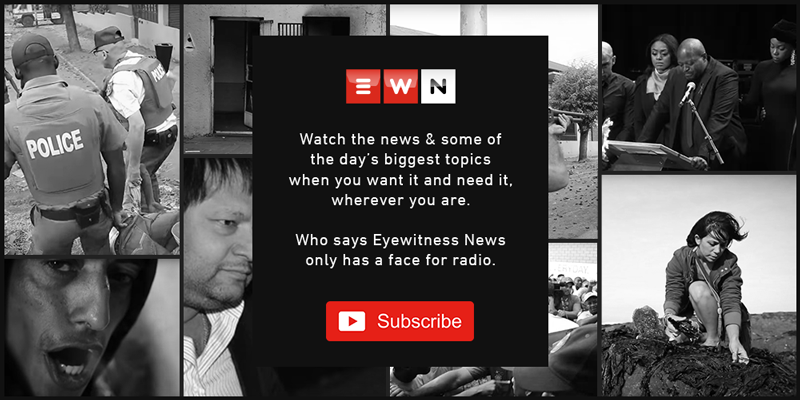 Eyewitness News reporter Clement Manyathela speaks to PAC leader Narius Moloto about SACP first deputy general secretary Solly Mapaila’s statement that Robert Sobukwe received preferential treatment from the apartheid government. Azania Mosaka spoke to artist Nelson Makamo about his new 'Time' cover, working with US filmmaker Ava DuVernay, and how to be great. The Democratic Alliance has been vocal about its intention to abolish the current model for black economic empowerment once it comes into power. Speaking to 702's Azania Mosaka, Moshidi Motshegwa says the directors and producers told her at the end of season one of 'The River' that her role has come to an end. Menopause Society of SA's president Dr Trudy Smith says this is the time when your female hormones start to decline, namely your estrogen and progesterone. A teacher at Valhalla Primary School is accused of sexually abusing at least 23 young girls while four pupils died in Hoërskool Driehoek walkway collapse.